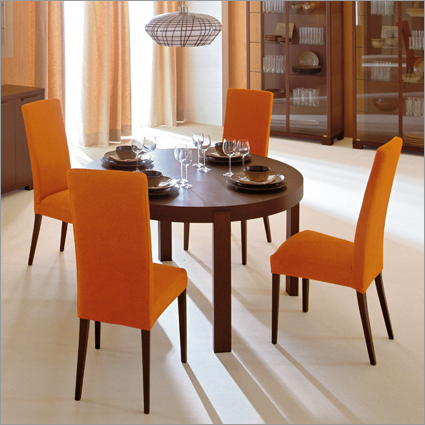 The Atelier Round Extendable Dining Table by Calligaris features a simple yet chic design. This Italian dining table is completely made of wood, with options for a glossy white lacquered, or wenge finishes. The Atelier Round Extendable Dining Table has a central folding extension. When extended, the legs follow the table in length, transforming this round table into an ellipse one. The Atelier Round Extending Dining Table has a timeless and versatile appeal, which makes it perfect for both classic and contemporary interiors. Made in Italy. Extends from 51.25" to 73.25"